If you have ever been scuba diving in South Africa, you know and understand why the sport is so popular. There are a number of people on this beautiful earth who choose to experience life beyond common boundaries. Some go into space; others to the depths of the ocean. Some people are content with just photos of the magnificent beauty beneath the surface of our oceans. Scuba divers want to experience it for themselves. They want to see it with their own eyes. Why lie on the beach or speed across the water surface when you could be scuba diving? The real adventure is right below you! Even ten year olds can learn to scuba dive! Sign up for a PADI open water course with Scuba Scene. PADI is the most recognised scuba certification course in the world. You will learn the fundamentals of scuba diving and equipment, basic scuba skills in controlled, confined water dives and practice your skills in open water dives. Congratulations! You just gave yourself the best gift when you took the time to become a certified scuba diver. Do you know why many dentists put fish tanks in their waiting rooms? As patients sit and stare at the fish they get lost in the motion of the fish and they relax. Imagine swimming with those fish, floating weightless and quiet. Scuba diving is a fabulous way to destress surrounded by beauty. The feeling is addictive. For some, scuba diving is an extreme sport because they go to greater depths and more challenging dive sites. It’s also a perfect family sport. Scuba diving is something you can all do together. Although, no matter how many others are with you, once you dive you are in your own private world. Every dive site has its own mysteries and surprises. New sites await. When neighbours and co-workers find out you spent your holiday scuba diving, they are so jealous of you. When they start passing around pictures from their fishing trip, show them yours. 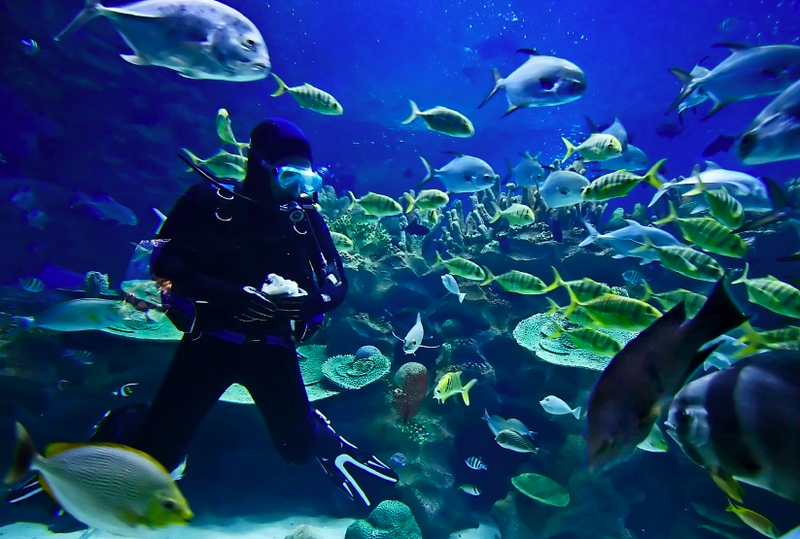 Those are just a few reasons why scuba diving in South Africa is so popular.